Renewable energy accounted for just under 15% of all electricity generated in Australia in 2015, says CEC, boosted by low-cost wind and solar. A 20 per cent increase in wind and solar energy generation in 2015 have combined to deliver another annual increase in the amount of Australia’s electricity sourced from renewables, more than compensating for a drop in hydro production, a new report has found. The Clean Energy Australia Report 2015, released on Tuesday by the Clean Energy Council, describes 2015 as a tough year all round for the renewables industry, with low rainfall in Tasmania affecting hydro output, and the effects of extended policy uncertainty still hampering investment in the sector. Nevertheless, electricity generated by renewables increased in 2015 to 14.6 per cent, the report said, which was enough to power the equivalent of 6.7 million average homes. As you can see in the chart below, the total percentage of electricity generated by wind energy for the year was 4.9 per cent, just 1 per cent less than hydro, which made up 5.9 per cent of total electricity generated. 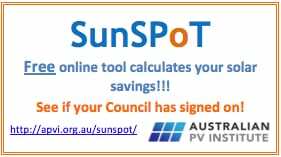 Household and commercial solar PV, accounted for 2.4 per cent of electricity generated in 2015, while large-scale solar accounted for just 0.12 per cent. Bioenergy contributed 1.3 per cent for the year. “The proportion of Australia’s electricity provided by renewable energy increased in 2015 due to a good boost from wind and solar power,” CEC chief Kane Thornton said in a statement on Tuesday. On a state by state basis, Tasmania, with its hydro resources, leads the renewables penetration stakes at 99.9 per cent; South Australia follows with 41.3 per cent; WA and Victoria draw for third place with 12.1 per cent, followed by NSW (7.7%) and Queensland (4.4%). In comments on the report, Thornton praised the role and support of the Australian Renewable Energy Agency, the Clean Energy Finance Corporation and leadership from state and territory governments – particularly the ACT – as “key drivers” of Australia’s renewables investment for 2015, which totalled $4.3 billion. But the report noted that the amount invested in Australia was a modest increase on the year before, and “a long way short of the investment between 2010-13.” Globally, a total of $329 billion was invested in renewable energy. “The industry is just under halfway towards meeting the 2020 RET. We will need a lot more projects to move forward during the rest of this year to meet the national 2020 (target),” Thornton said. Indeed, according to the report, Australian will need to build between 30 and 50 large-scale wind and solar projects by 2020 to meet the large-scale component of the Renewable Energy Target. “The end result will see a mix of the two technologies employed, along with some hydro, bioenergy and marine energy, and predictions vary sharply on what the final proportions of each will be,” the report says. According to the report, more than 8000MW of wind energy and 2500MW of solar projects are currently under construction or have planning approval – a pipeline that is, on its own, large enough to meet the RET. Additionally, it notes more than 6500MW of projects currently going through various state planning approval processes. The report also notes that the large-scale component of the RET alone will generate approximately $10 billion in investment and create 6500 new jobs by the end of the decade. Election fact check: Do green schemes drive up electricity prices? There is a lot room for improvement. In Germany, the fourth largest economy in the world, 32,5 % of electricity demand was met by renewables and Germany really hasn’t this much sun like Australia which has even a way longer windy coastline. So stop voting for the embarrassingly stupid Coalition and get on with it already.